Others may score more than him, hit more sixes than him, hack more and have more fan girls, but his batting has easily been most pleasing to the eyes. Only Kohli is that good to watch. Rest are either boring (Rahane, Dhoni, Rohit) or look like brute force (Pant, Kishan). No Kohli is no way as good to watch. In fact, Williasmson is better in batting style. Off topic but I wanted to know when are we playing Sri Lanka in ODIs next? I want to see Rohit Sharma torture them again with his 4th 200 or maybe a triple this time. Does it make me a sadist if I like watching Rohit torture SL? ﻿ Does it make me a sadist if I like watching Rohit torture SL? Rohit is very good to watch too. I would not say Kohli is good to watch but rather he is much more effective. That is I feel secured when Kohli is batting that he will give me a good contribution before he gets out and mostly his wicket has to be taken by opposition and will never be gifted away. With Rohit, atleast once upon a time it is only a matter of time he gives his wicket away to the opposition. Now a days, it is not so and he plays dots (if you meant that it is boring I will agree). When in decent form and when he is timing well, he is pretty good. Very much like early years VVS who used to very good on his good days and very pathetic otherwise. -- Whose game is based on proper cricketing shots and proper technique. -- Are really good test batsmen but are good in LOIs too. -- Are good against pace and bounce. Kohli and Rahul do too. Gill and Samson have the potential ... and Shaw if he rectifies his backfoot dragback issue. These are the guys I hope to see playing long for India and doing well. Rohit is stylish on flat decks imo..
manjot kalra is for more pleasing to the eye than anyone else ..
Yeah Rahul is terrific, would like vohra to get more chances, he’s also a treat to watch and Gill and Samson play proper cricketing shots to. Kohli isn't as natural as Rahul. Kohli does have more grit. Rahul has always had tremendous skill. Lapses in concentration have not helped him, however. Abhishek Sharma is even more pleasing on eyes. But Sharma tag makes me fear of his inconsistency in future. He's a natural talent with how he hits 4s and 6s, and with now the players are giving more priority to fitness and fielding, I'd say he's the true successor to Sachin and may even surpass him. Kohli is just too brutal with his consistency where as Rahul is a top-notch when it comes to strokemaking. Together with these two, Indian team will be a force but sadly some petty politics is stopping it from happening. Good to watch has nothing to do with being successful or being consistent. Kohli is treat to watch? where? No, Kohli has a peculiar stiffness in his batting. His bat flow is stiff and very controlled that makes him effective but not very attractive. Him being bottom-hand player has a lot to do with this. Same with Smith. Smith is an ugly batsman, like Chanderpaul. This thread is about elegance and attractiveness of the batsman and effectiveness. Aesthetics are difficult to ascertain .I found slater good to watch, he was similar to virat, kind of jabby, punchy approach .Rohit too looks good he is like mark waugh, samson too is in that category .On the other hand i find williamson boring ,i dont know why.One of the batsmen i found most boring was steve waugh. You don't think Kohli's cover drive is beautiful to watch? Rahul is now signed up with Bunty. I hope he will be more consistent now. Williamson is as boring as Laxman. not difficult at all. Most bottom hand dominant batsman wont be most aesthetically pleasing to watch. Kohli though is still more attractive than likes of Dhoni and Pujara, who both are also bottom hand batsmen. Samson is my favourite (elegance wise ) from this new generation. Damien Martin was one of my favourites in aesthetics. Rahul with most number of 6s and 4s now. Smith is Chanderpaul part 2. You didnt like Chander but likes Smith's batting. This thread isnt about favorite batsman. Smith and Kohli can be your favorite batsman, but attractive batsman to watch, no, they are not. Gets 95, ends up on the losing side. Gets 94, ends up on the losing side. Smith and Kohli can be your favorite batsman, but attractive batsman to watch, no, they are not. I find both Kohli and Smith very attractive to watch as batsmen. And I have seen / heard many people agree with me on this issue. Attractiveness lies in the mind of the the observer. Rahul and pant. Two contrasting superstar players who may not play world cup. Kohli will have hard time benching this man now. Hope he thrashes CSK bowlers irrespective of Punjab will qualify or not. Well it will be argued that IPL performances don't count. Attractiveness lies in the eyes of the beholder. Not in cricket, attractiveness isnt subjective. Smith is one of the most ugly looking batsman. If he is attractive then no one is ugly then. And he is reserved opener. Kohli fans have already said in past that he has failed in middle order, and can bat only as opener even though there is nothing to prove that so called failure. I think he's the best lofter of the ball in Indian cricket since Sidhu. Rahul has not failed in the middle order. Just 3 games mean nothing. 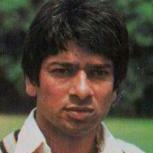 Moreover, he scored a 100 in a T20I at No.4. A talent like Rahul needs to be given 15 ODIs on the trot without judging. It depends on what one is looking for in a batsman. Those who look for dominance over bowlers, great hand-eye coordination, good timing etc. will find Smith's batsmanship attractive. that is not the parameter of attractiveness. This is effectiveness and not attractiveness. You find Smith's effectiveness attractive but that is not what being attractive as a batsman is. Virat has choked plenty of times in ipl while chasing. Most famous was the DC loss in 2013. Its just really hard in T20s. Maybe Rahul should hav not lofted Bumrah but it wasnt a bad move to hit a ball in the slot. Too bad he hadnt picked the slower ball. Pathetic middle order and axar promotion screwed it up.